Can you change the world through great customer experience? Paul Graham from Y Combinator published another great essay last week: ‘Do things that don’t scale’. I found it very insightful and thought provoking. However I must admit till very recently my personal thinking was almost the exact opposite. 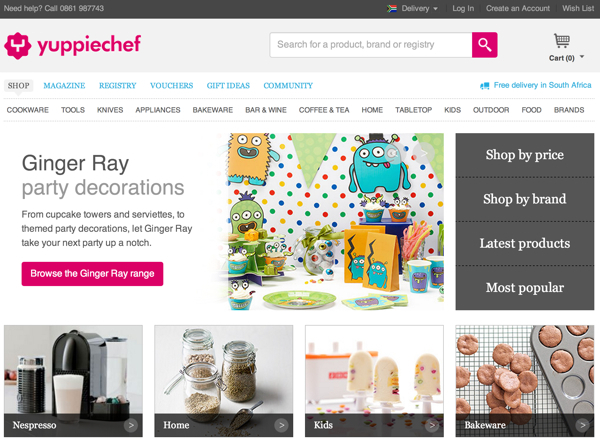 A few years ago I was at a conference where Paul Galatis from yuppiechef.com gave a presentation on customer experience. I was moved by his presentation, but quickly rationalised how it would be impossible to implement for Private Property. After all, it is easy to do amazing things like this when you are small but much harder when you are servicing tens of thousands of customers monthly. Part of my challenge was that I couldn’t quickly think of a way to scale such an amazing customer experience approach. And I could not think of one big service business in South Africa that had managed to scale it. I guess we all get used to below average customer service from most companies we deal with. The last few weeks I have seen again that even companies with pretty good reputations for customer service can do much better. Its like they have a standard trouble shooting procedure, so instead of listening and understanding your problem properly they just try to get you to follow some predetermined script. Frustrating you even further. Which could seem like proof that it is not possible to scale great customer service. But after reading the Paul Graham essay, I think I have really changed my attitude. When you are small you should not shy away from going beyond what could seem like reasonable; it helps you understand the problem you are solving. He also talked about doing things to get users ‘manually’ in the beginning to help a startup get past those first few critical months. Taking these unusually steps help you get insights and experience that nobody else has. Then a big part of the challenge is finding ways to scale it as you grow up. I do wish more companies would take up the challenge of giving their customers a great experience in dealing with them. I think it might be more possible than big company executives would like to believe. When I get to do my next startup I will focus much more on doing a great job giving my customers an insanely great experience. I think Paul Galatis was right all along, great customer experience can change the world! I finally got the message! This entry was posted in Uncategorized on 2013/08/04 by Justinus.